Please send a close up photo of your pet to southernpinespetnight@gmail.com. 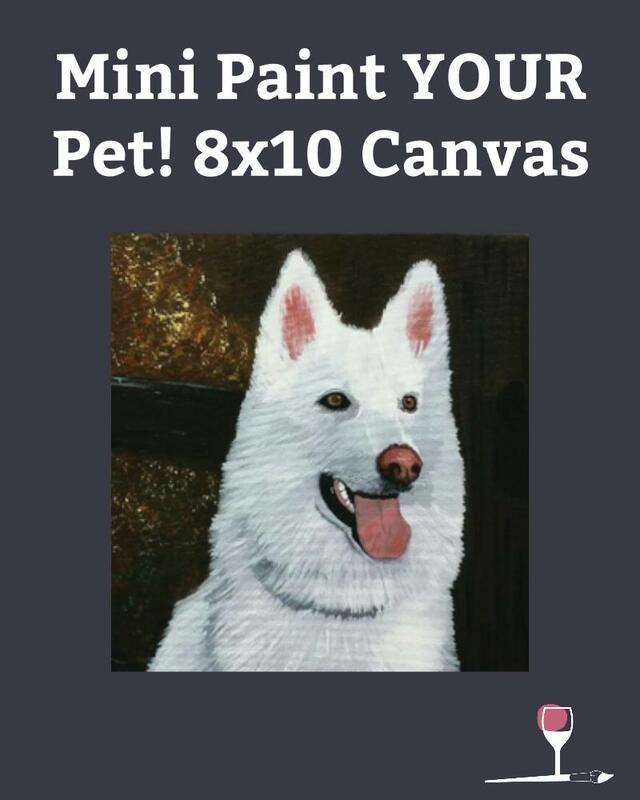 Your picture will be modpodged onto a 8x10 canvas. Please include the name you are registered under in your email and your class date. Please plan to arrive 10 to 20 minutes prior to the scheduled class time. The artist will begin PROMPTLY at the scheduled time, and class will last for 2 hours. We have corkscrews and cups for your use! Please consider tipping your lovely artist at your leisure. We look forward to seeing you for a class of fun and creativity!